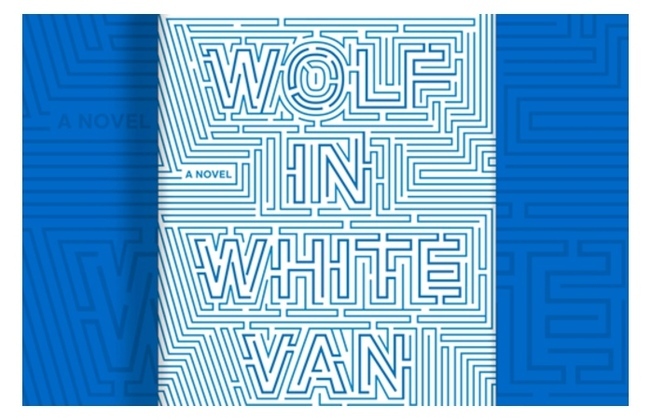 You pickup a book called Wolf in White Van. The cover mesmerizes you, and you feel hard pressed not to open it. Noticing it's written by John Darnielle--whom the The New Yorker calls "America's best non-hip-hop lyricist" and Paste claims as one of the best living songwriters--you hit the checkout and immediately open the book. One thing I've learned is that it's better sometimes, in the weeds. The story follows Sean Phillips, a horribly disfigured man that makes a living running a play-by-post (yes, post mail) role-playing game called Trace Italian. It starts with Sean's life today, Sean seems to finally come to grips with his life and acceptance of his plight. Then moves backwards, not linearly, finally culminating in the dark accident that left his face so disfigured. There are a number of key events in the reverse maze Darnielle threads as Sean's life. A lawsuit from a family whose kid took Trace Italian too seriously ending in a deadly result, parents that forever try to makes sense of the senseless, and the hospital where time spent motionless staring at ceiling tiles allows Sean to invent a whole new world in his mind. Wolf in White Van refers to lyrics that are apparently heard when playing a Larry Norman Christian Rock song backwards. Trace Italian is a role-playing game, set in post-apocalyptic United States. A maze to unfold from the mind of Sean as the player provides various moves. Darnielle--in a sort of "meta" authorship--not only tells a story, but structures it in reverse flow (allusion to the backwards music) and non-linear sections (a maze for the reader to navigate) that both help and hurt the story he's trying to tell. Wolf is a really good read, but is at times confusing. As I said, the story is structured a bit like a maze leaving the reader to figure out: "Is this before the accident or after? ", "Is this after the trial? ", or "Are be back to the present or near the beginning?". All of these questions can be deciphered, but it takes away from a flow of reading. I found my self constantly re-reading a chapter, because I couldn't decipher on the time frame under a single reading. But after reading and completing the book I see the deep underlying root of the book and it puts so many other chapters in a better context. The second thing I felt was under served was the Trace Italian world itself. Sean creates this amazing world and we are only provided snippets and at only 207 pages, Darnielle could have added so much more without bogging down the story at all. One reader claims it's the type of book that requires a second reading, but demands to left alone and pondered upon. I would completely agree with this. 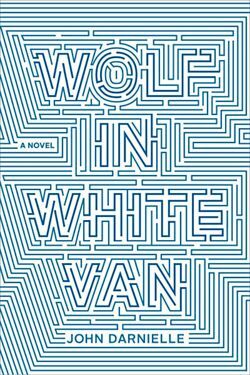 Wolf in White Van is a really good read that will leaving thinking about it long after book is put down. I teetered on 3 or 4 stars on this, but the more I think on the book the better it gets. So I'll give it 4 out of 5 stars. You just completed Wolf in White Van and you don't know what to think about it. The ending left you a little speechless, even though you knew it was coming and knew exactly what happened pages before. You put the book down and look to other readers to help you understand what you just read. I'm just going to come out and say it. After hours of thought and reflection on the book, what allowed chapter after chapter make the most sense to me is that this book, at it's core, is a book about how little we know and understand about depression. From the beginning we find Sean is actually in a good place, able to joke with his nurse and somewhat laugh about his situation. He remembers the dark times in his young life, but looks at it now from the outside looking in no longer willing to play the "game" of his dark thoughts. It's better sometimes, in the weeds. We then begin to see the absurd events unfold that begin to unravel what should put someone of Sean's predisposition in a horrible place. We are never told why he, now after all the garbage that's happened in his life, is in such a good place...never-the-less he is. We see the dark events unfold in reverse order....the trial, hearing about Carrie and Lance, his parents asking him to not come to his grandmother's funeral, the abandonment of his favorite player from Trace, his parents wanting him a an assisted living home, the feeling of abandonment of his friends, his parents constant questions and watching them trying to make sense of the senseless, the time in the hospital, and then the suicide attempt. Oddly, these events get more cheerful in the retelling of Sean's past. Up until the point, where an event that most 17-year-olds would call the pinnacle of their teen years, is the last memory before the shotgun blast that destroyed his face. At the expense of sounding like Sean's parents and trying to make sense of something you cannot, I felt this book highlights how little we know about depression. When asked and in Sean's mind, he has no idea what made him or why he shot himself in the face. Again, it happened at a good point in his life. Then even after all the garbage that happened in his life, at the beginning of the book (the end of the story), Sean is in such a good place. Maybe it is because he has the Trace, maybe it is because he's been through so much the little stuff no longer bothers him, but all signs point to a man who should be in complete darkness...but he's not. So little is known, we medicate and commit people for things we don't understand. I'm not saying you shouldn't, just highlighting that even though there are signs of improvement, it doesn't mean we know what is exactly happening. I've heard Sean's response in a number of other people. From people attempting suicide to cutters, they often say the same: "I don't know why I did it." And they aren't dodging the question, that is the complete truth. It's really interesting how Darnielle chooses to highlight this. And at its core, Wolf in White Van is a counter-definition of what you'd normally hear about depressed persons...but completely rational and moving. Again, it's a great story, but a book that fell a little short. 4 out of 5 is what I'm giving it although it would sit well as a strong 3. It's too bad we didn't get a larger peek into Sean's psyche in the formation of the Trace Italian.